Anthony Wayne Collins, 39, of 121 Englewood Lane, Danville, Va., passed away February 5, 2019, at Sovah Health Danville. He was born May 8, 1979, in Danville to the late Zula Wilson Collins and the late Troy Gardner Collins. Anthony is survived by his loving wife, Teresa Cody Collins of the residence. He worked at Goodyear Tire & Rubber Co. for eight years. Mr. Collins was of the Baptist Faith. 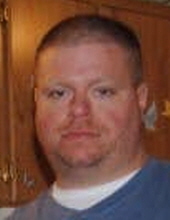 In addition to his wife, Teresa, Mr. Collins is survived by his daughters, Kayla Collins of Danville, and Andrea Collins of the residence; his son, Cody Collins of the residence; his sister, Delora Lynn Collins and husband, Brent of Greensboro, N.C.; his sister-in-law, Donna Collins of Danville; his brothers, Johnny Ray Collins and fiancée, Melissa Collins of Pelham, N.C., and Christopher Allen Evans and fiancée, Jamie Davis of Danville; as well as his grandson, Jacob Alexander Collins. In addition to his parents, Mr. Collins was predeceased by his sister, Barbara Faye Collins and his brother, Troy Lee Collins. Funeral services will be held at 2:00 p.m. Friday, February 8, 2019, at Norris Mt. Hermon Chapel with Rev. David Hatcher officiating. Interment will follow at Highland Burial Park. The family will receive friends from 6:30 p.m. to 8:00 p.m. Thursday evening, February 7, 2019, at Norris Mt. Hermon Chapel, and at other times at the residence, 121 Englewood Lane, Danville. Norris Funeral Services, Inc. & Crematory, Mt. Hermon Chapel, 3995 Franklin Tpke., Danville, Va. is respectfully serving the Collins family. Online condolences may be made at www.norrisfuneral.com. To send flowers or a remembrance gift to the family of Anthony Wayne Collins, please visit our Tribute Store. "Email Address" would like to share the life celebration of Anthony Wayne Collins. Click on the "link" to go to share a favorite memory or leave a condolence message for the family.